Harvard’s department of visual and environmental studies (VES) will emerge, like a butterfly from a chrysalis, with a new identity better reflecting what it actually does, if the Faculty of Arts and Sciences (FAS) embraces a proposal to change its name to the department of art, film, and visual studies. The proposal was presented to FAS for discussion during its faculty meeting today by professor of visual and environmental studies Robb Moss , department chair, based on a background memorandum he prepared with professor of visual arts and of anthropology Lucien Castaing-Taylor , interim chair. Moss described the change as moving from a name that is “not only opaque but completely misleading” to one that actually communicates what the faculty members and students do—a change President Lawrence S. Bacow quipped was “truth in advertising.” A vote—in this case, a formality, since no objections were raised—will take place at a faculty meeting later this spring. For at least the last 15 years, there has been continual dialogue among the faculty about the name of the department, and the perception that it no longer accurately reflects what we do. This is both because the department has changed considerably since the 1960s, with regards to both its curriculum and the nature of its faculty’s creative work and research, and because the meaning of the word “environmental” has also significantly shifted. Moreover, the name of the department sows considerable confusion, both within and outside the University. Harvard students, faculty, and administrators, as well as potential donors, students, and parents, not to mention faculty at other institutions, are often unaware that there is an art department at Harvard. 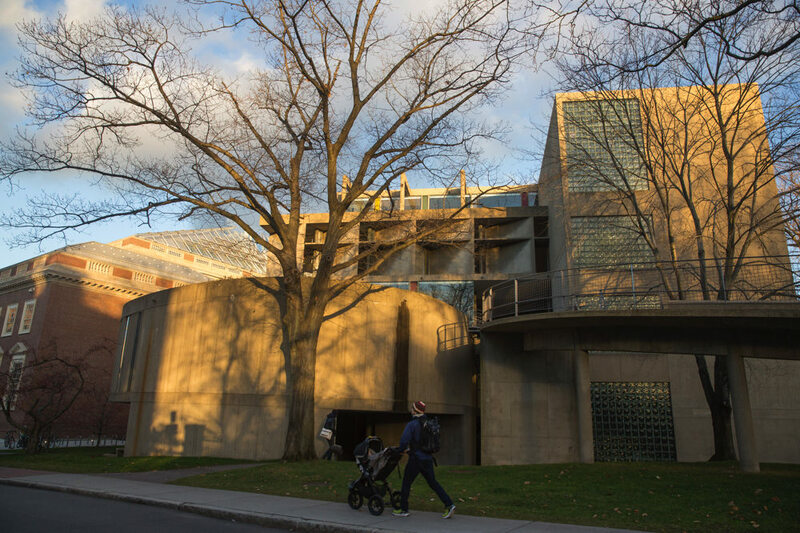 The department, and the naming confusion, stem from the early 1960s, when the College offered a smattering of undergraduate courses on “architectural sciences,” largely drawing on Graduate School of Design (GSD) faculty members. When the Carpenter Center for the Visual Arts was completed in 1963, the courses offered there, in the same field, appeared instead under the rubric “visual studies,” alongside design, filmmaking, and photography classes. The whole, per Moss and Castaing-Taylor—combining the architecture offerings with those devoted to art-making—took on the name of VES in 1968. Around the same time, the Carpenter Center’s director, Eduard F. Sekler, an architectural historian, reflagged the courses in his field as “environmental,” as in the design and preservation of the built environment. From the 1990s on, “The practice of art-making became and has remained at the core of VES,” augmented by a doctoral program in film and visual studies. But the VES name remained in place. Accordingly, Moss and Castaing-Taylor continue, “Today VES is home to a range of studio practice, film and video production, and theoretical studies in the arts. It offers courses in painting, drawing, sculpture, performance, installation, photography, film, and video, as well as theoretical courses about the nature of media, contemporary art, and visual culture”—plus the doctoral programs. But the word “environmental” has come to assume different meanings, evolving from its etymological roots in “surroundings, periphery, or proximity, deriving from the Middle French ‘environment.’” In fact, “Sekler’s appropriation of the term to mean the designed and human-made environment was eccentric and idiosyncratic, and to our knowledge was never taken up with this sense anywhere else.” Today, of course, the term “environmental,” persisting in the VES title, “principally refers either to the natural environment, or to efforts to protect that environment against the harmful effects of human activity, or else to endeavors that seek either to minimize our impact on, or else to coexist sympathetically with, it.” In other words: environmental protection, ecology, and so on—for which Harvard has a concentration in environmental science and public policy. So, VES—a department that “has as its heart the creation of plastic art, including not just drawing, painting, and sculpture, but also film, video, and photography,” would become a department of art, film, and visual studies. This matter, laid out in the supporting memorandum, concerns only department nomenclature. So it does not take the opportunity to spell out the larger context: that Harvard is doing more to incorporate the creative arts in its actual undergraduate curriculum. While Moss and Castaing-Taylor are clear that “A department of art does not normally offer courses in either creative writing or in music,” the College offers both to some degree elsewhere. They do not mention either the undergraduate track in architectural studies , begun in 2012 (and housed within the history of art and architecture) and now embracing studio-based design courses , or the newer theater, dance, and media concentration . In that sense, today’s discussion is a missed opportunity to highlight what steps the College is actually taking to embrace art-making. But no matter: when the faculty votes to reflag VES as art, film, and visual studies (AFVS to go with TDM, anyone? ), the curricular evolution will become clearer for all to see.